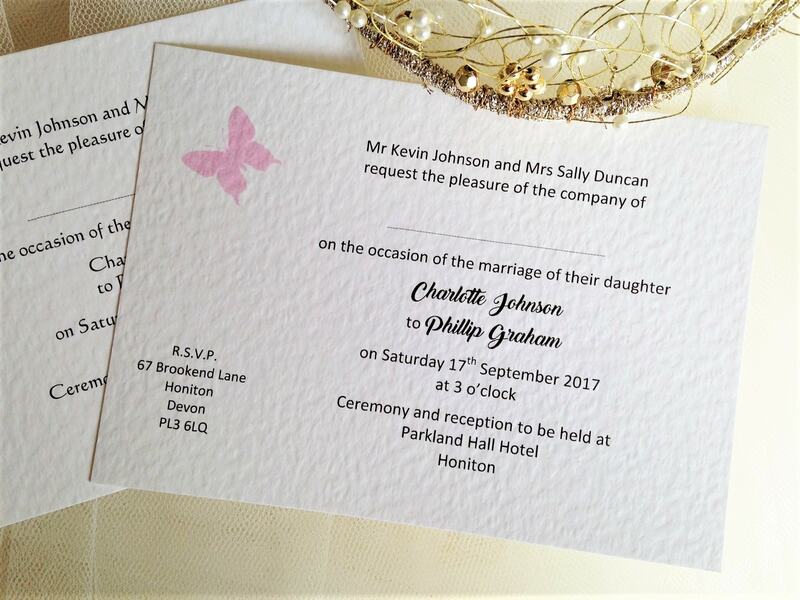 This is just a small selection of pale pink wedding invitations to give you some ideas – the majority of our wedding invitations on the main page are available with ribbon to match your colour scheme. Pink it seems is the colour of the moment when it comes to weddings. 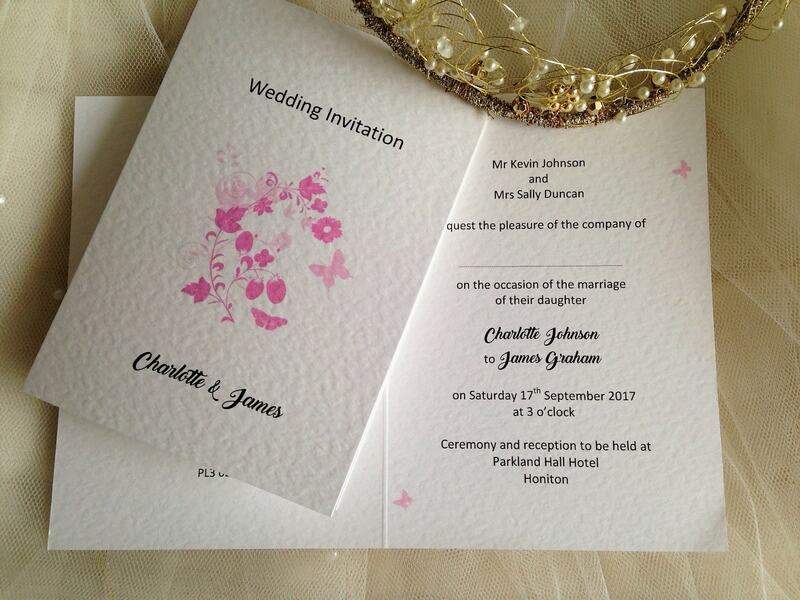 Baby pink has always been a popular choice for summer weddings, pale pink wedding flowers are particularly popular. Delicate soft petals, flowing fabrics, pink is the ultimate wedding essential. 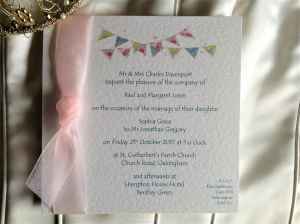 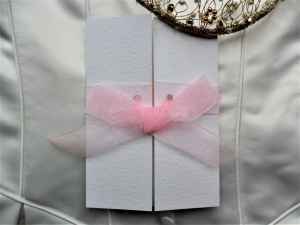 We stock pale pink ribbon in satin and organza and can even print your invitations in a pale pink typeface if you wish. 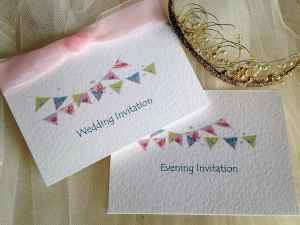 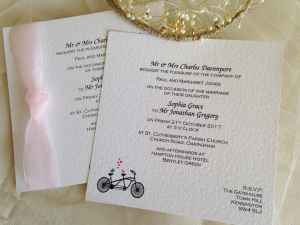 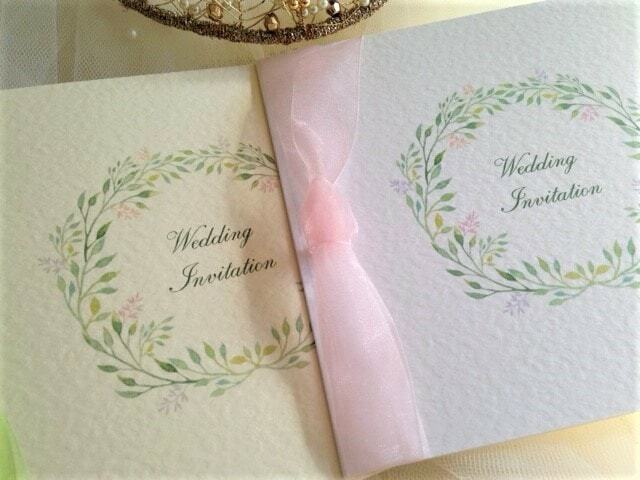 Order your pale pink wedding invitations today.